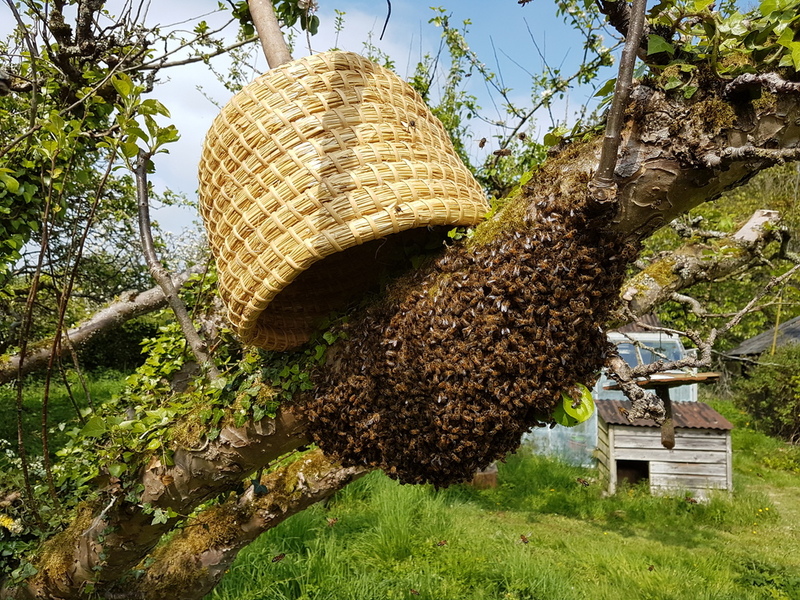 A swarm of bees, collected in a woven straw skep was tipped on a sheet covered ramp and the bees soon ran into a Golden hive. After a few weeks, I checked the colony to see whether it needed any more combs. 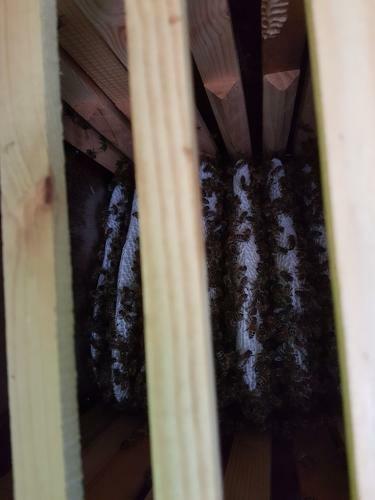 This is a 13 deep frame hive and initially, the size is kept to 8 frames using a dividing board. 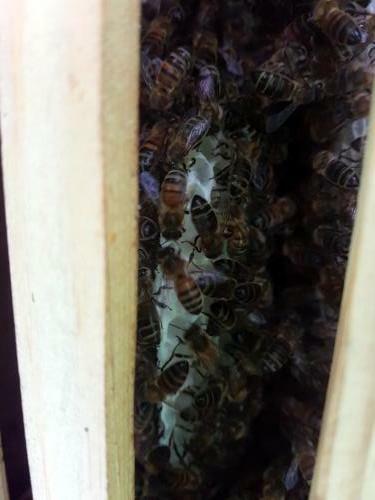 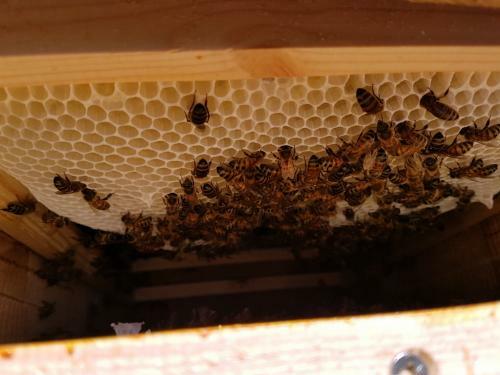 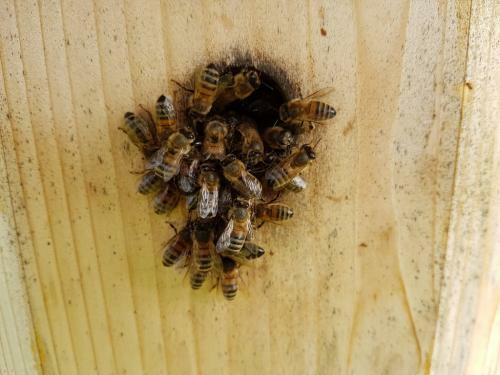 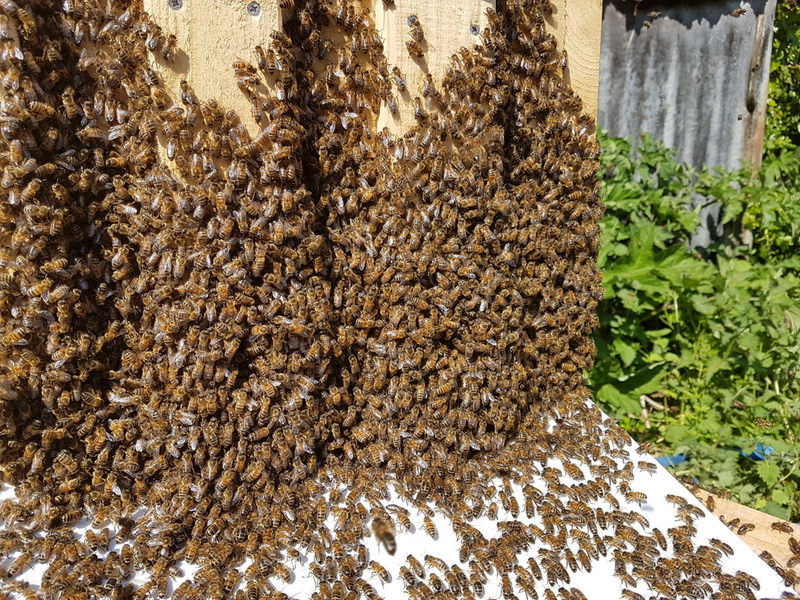 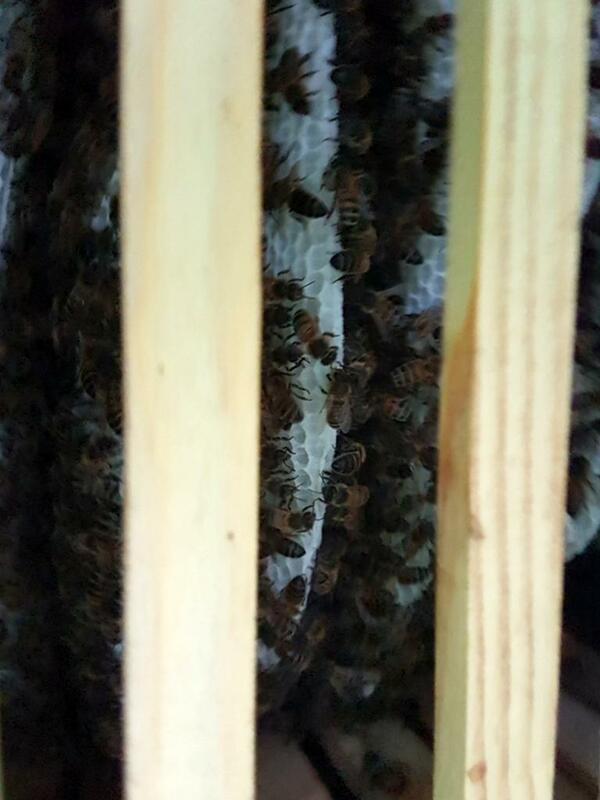 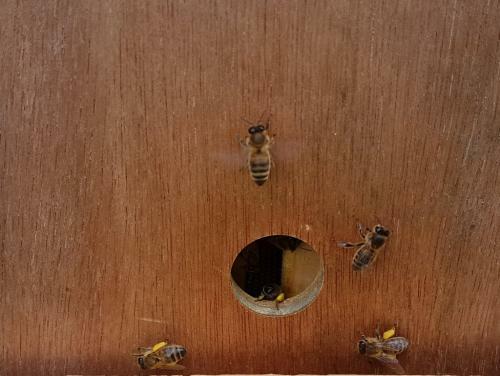 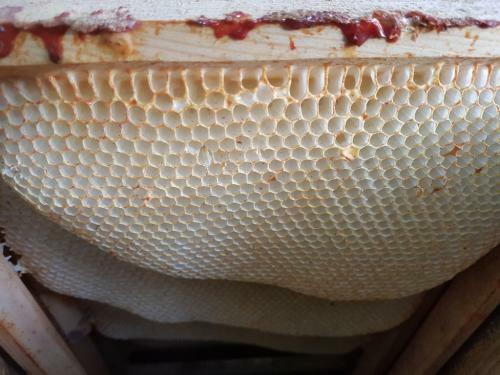 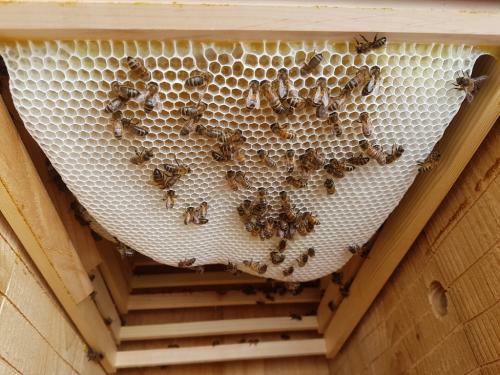 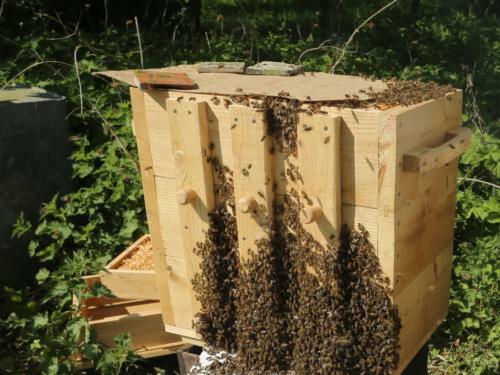 By lifting the edge of the top cloth it is possible to look at the last frame without disturbing the main colony. 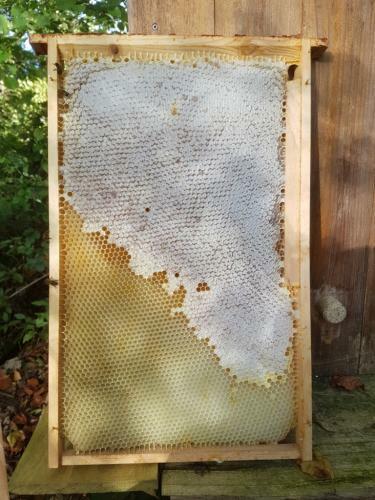 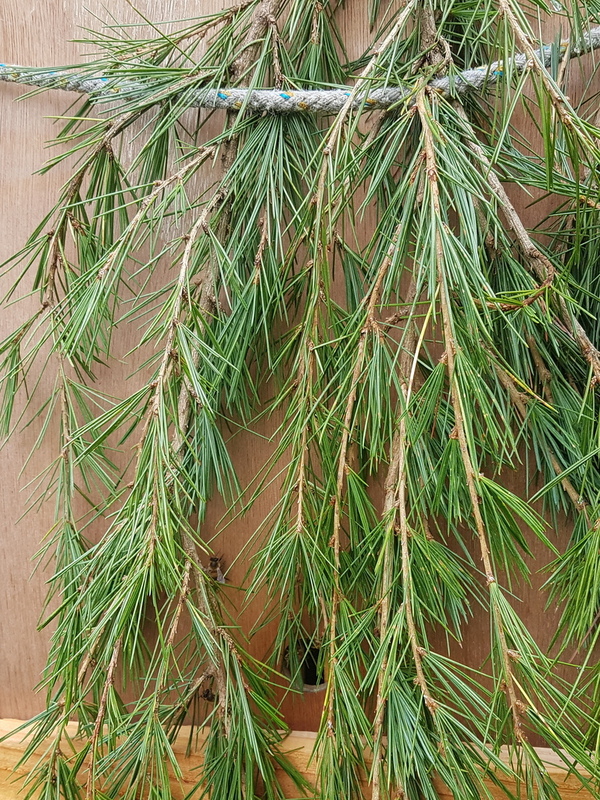 If I see any comb growth, I add another frame. 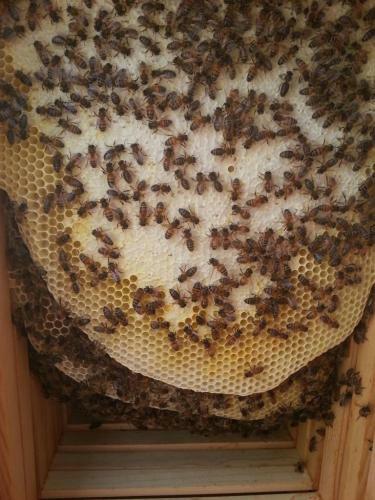 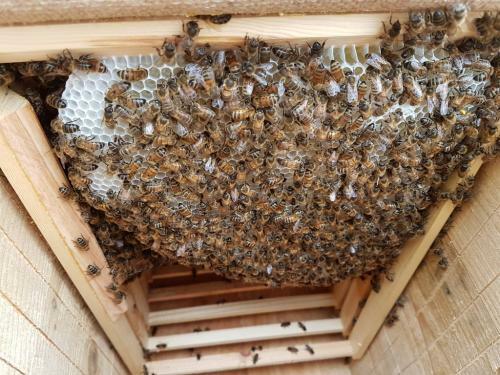 When there is an abundance of flowers comb growth is rapid and frames added every week. 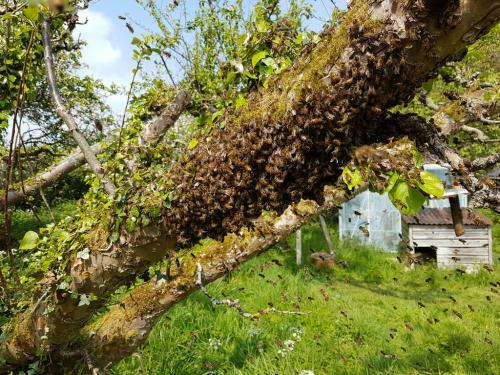 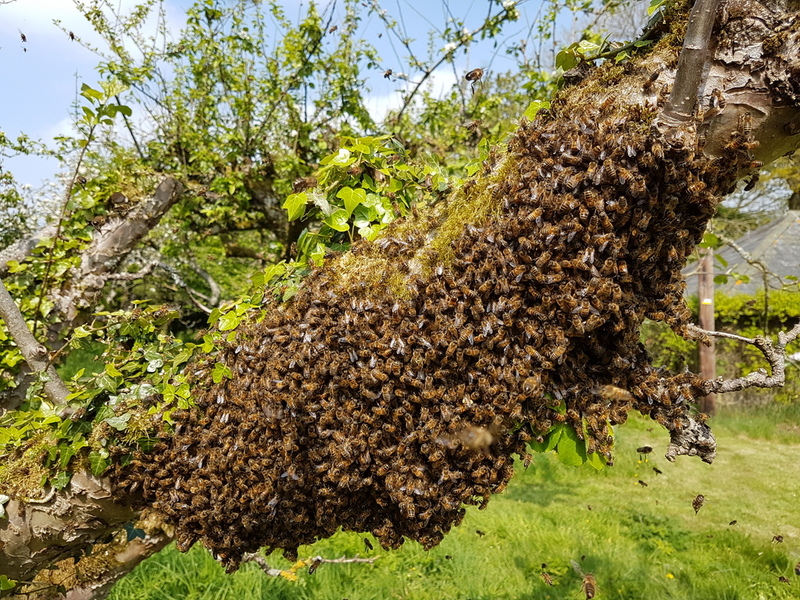 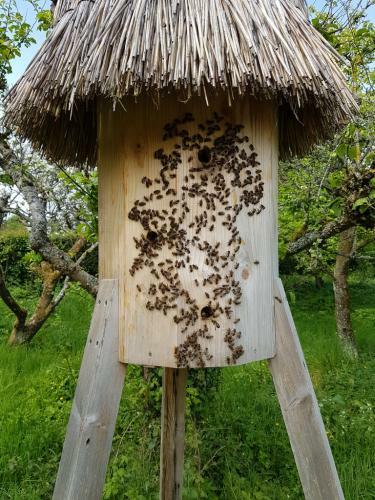 This year was relatively quiet for swarms, but I was lucky enough to be in the orchard when a beautiful swarm erupted from a Freedom hive. 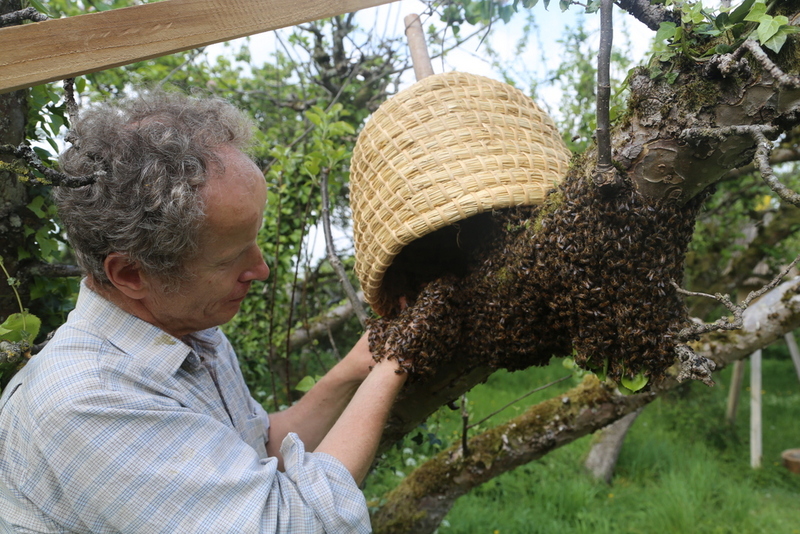 This landed on a nearby apple tree and I was able to catch it and then the following day, transfer to a Golden hive. 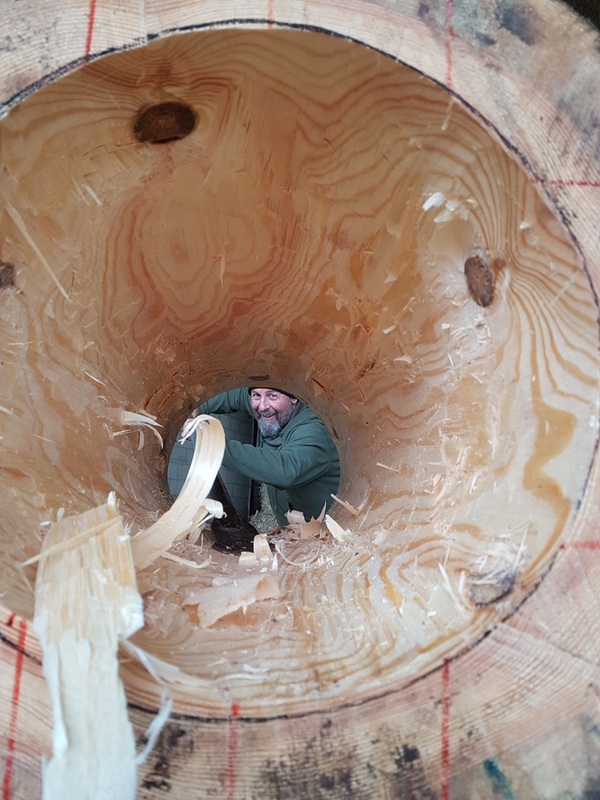 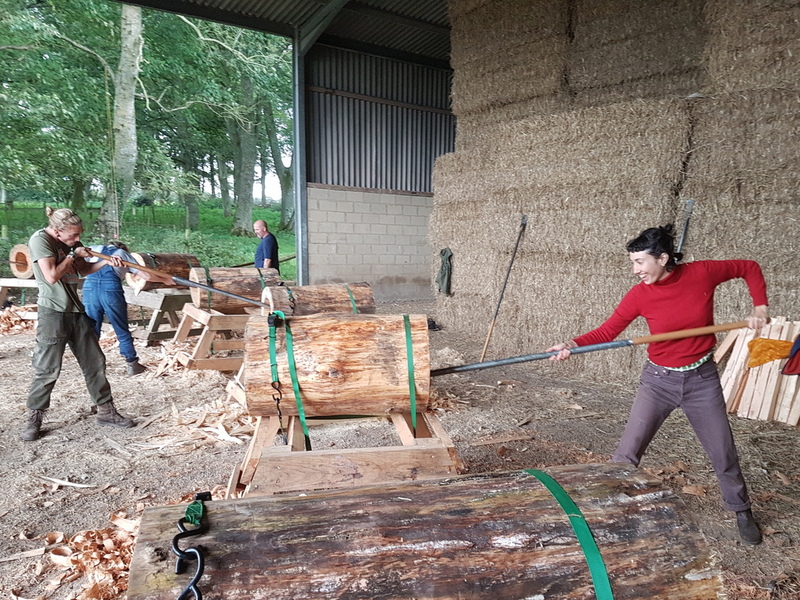 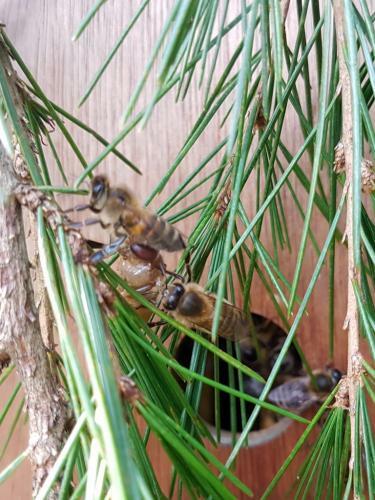 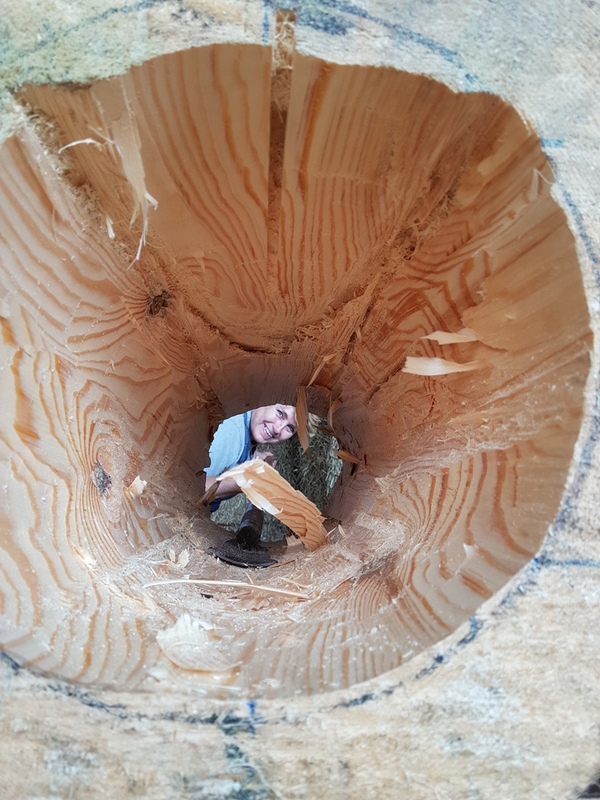 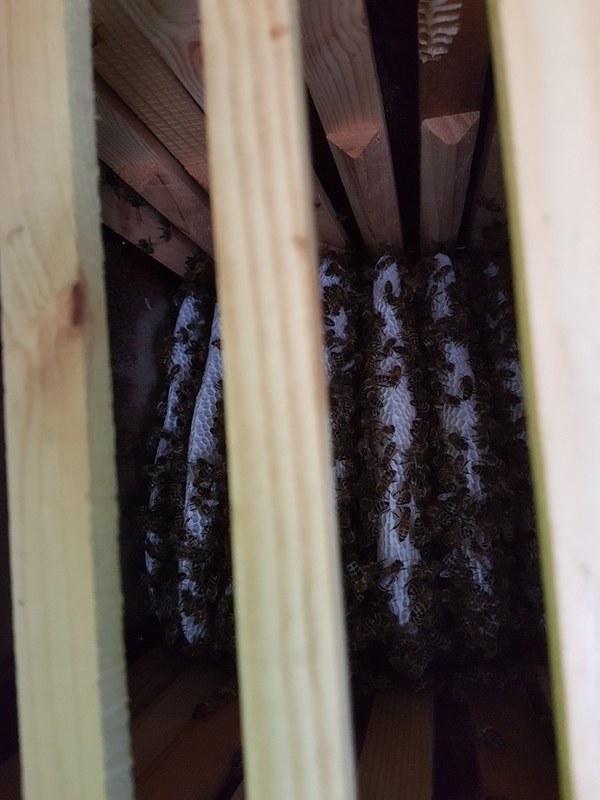 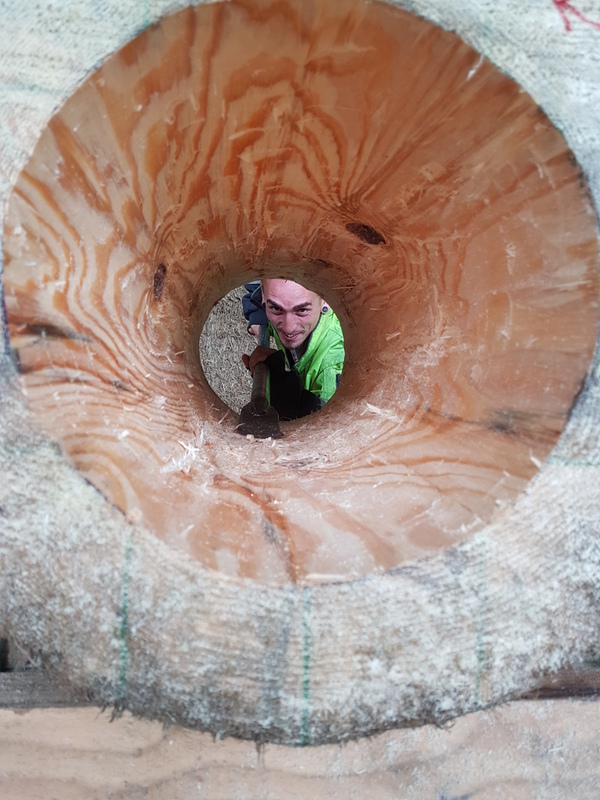 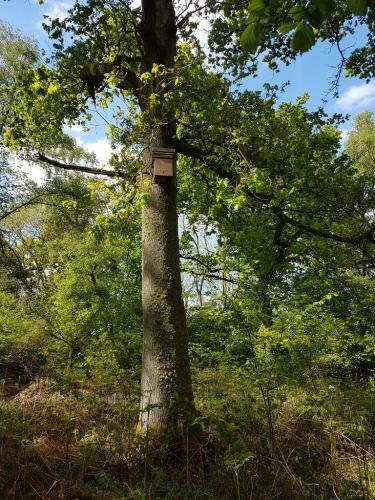 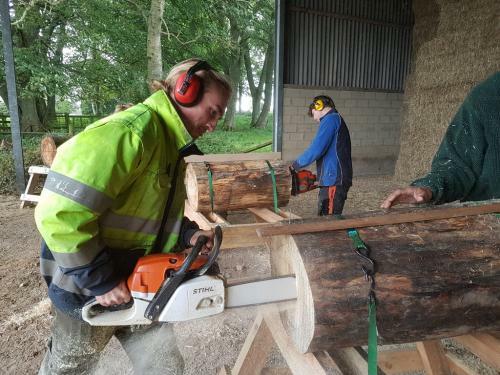 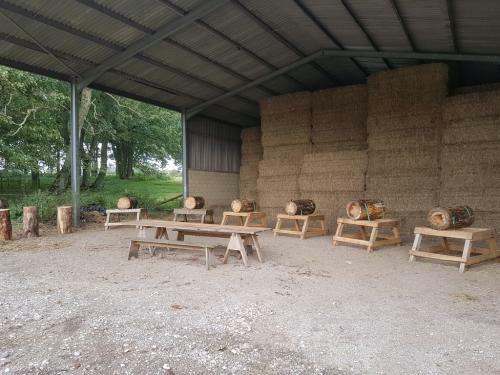 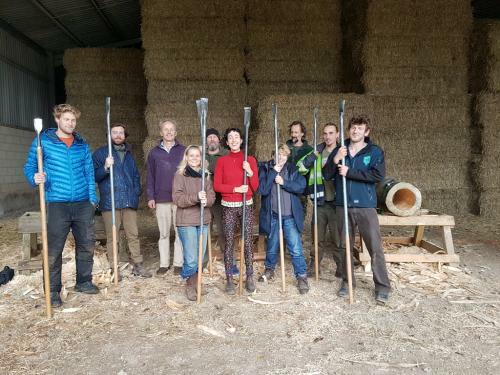 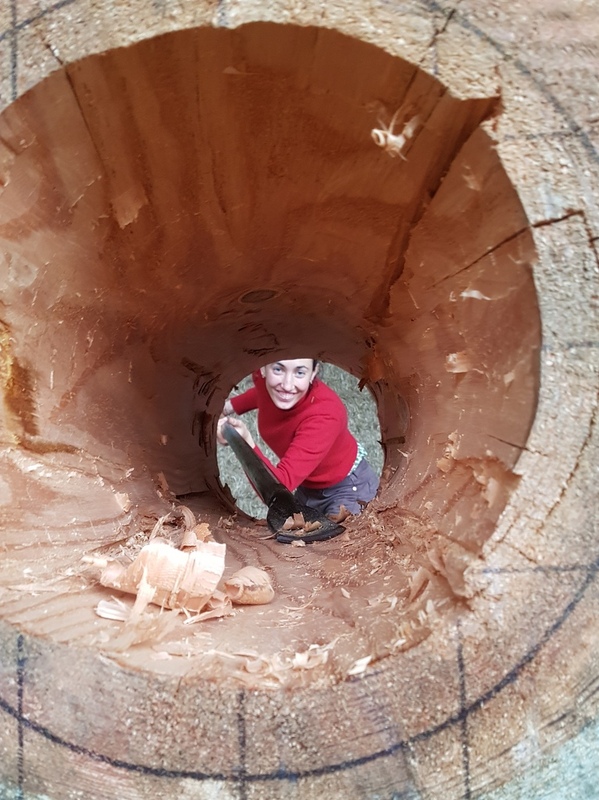 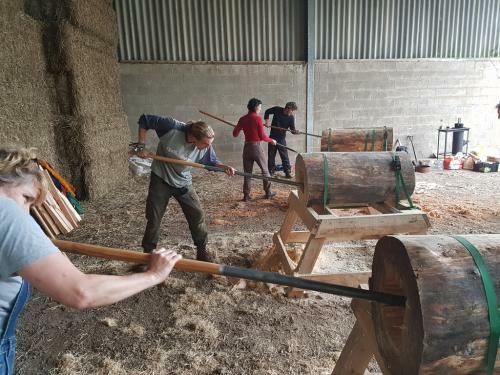 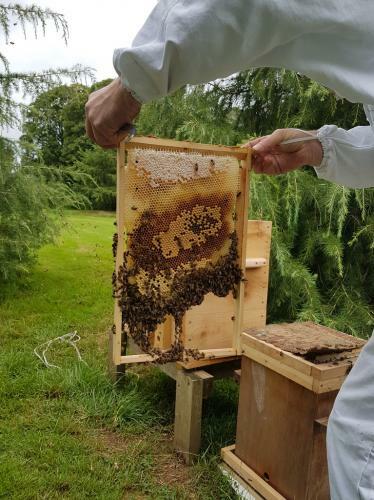 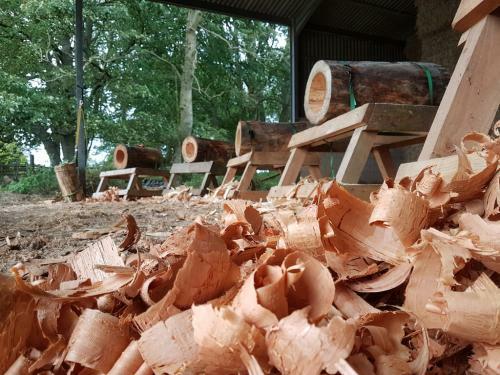 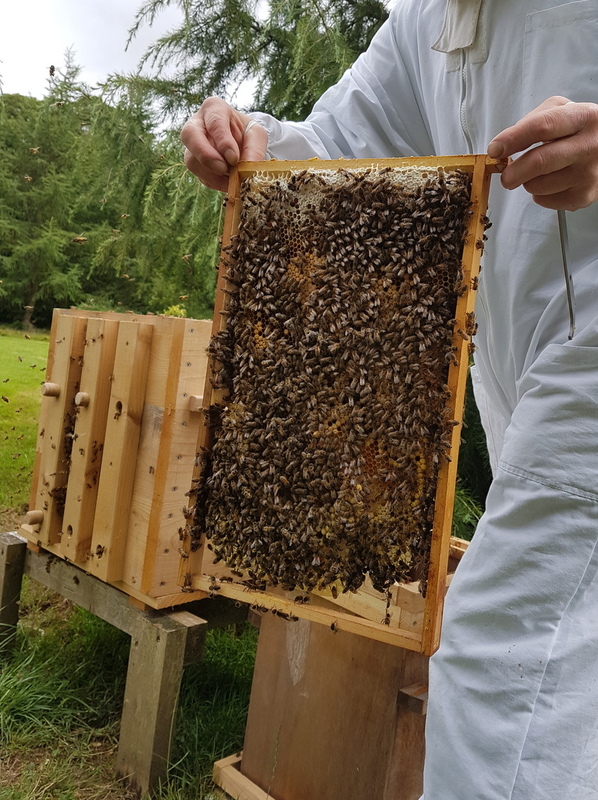 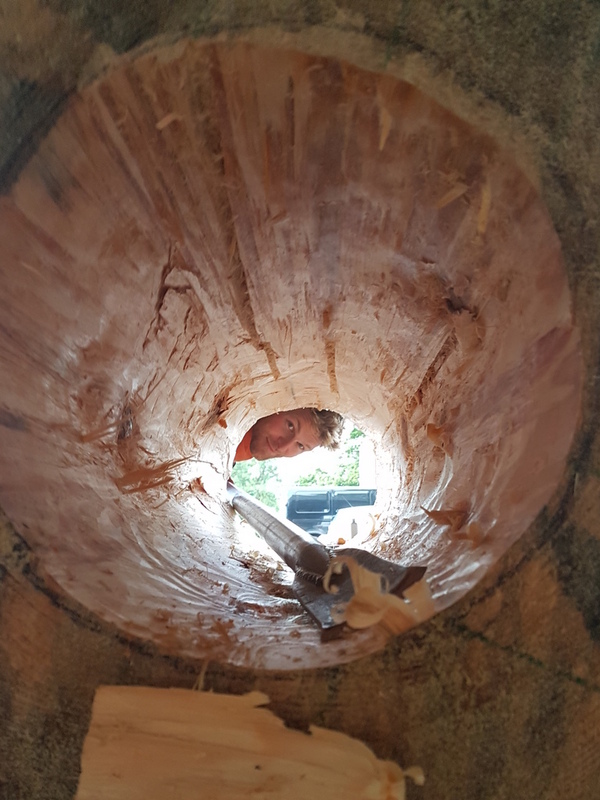 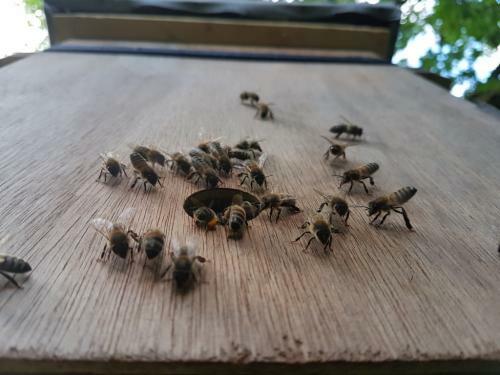 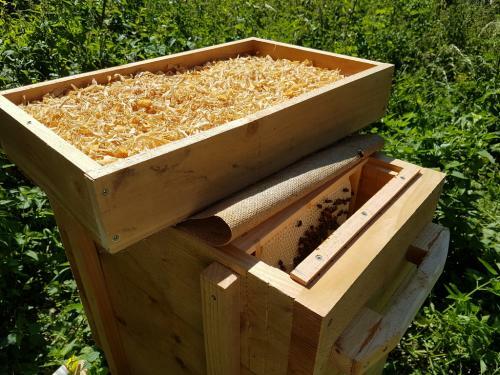 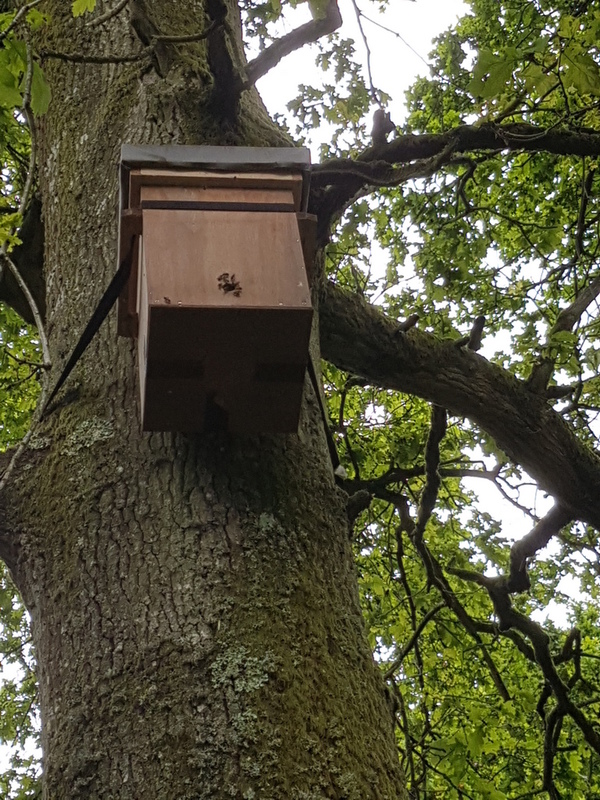 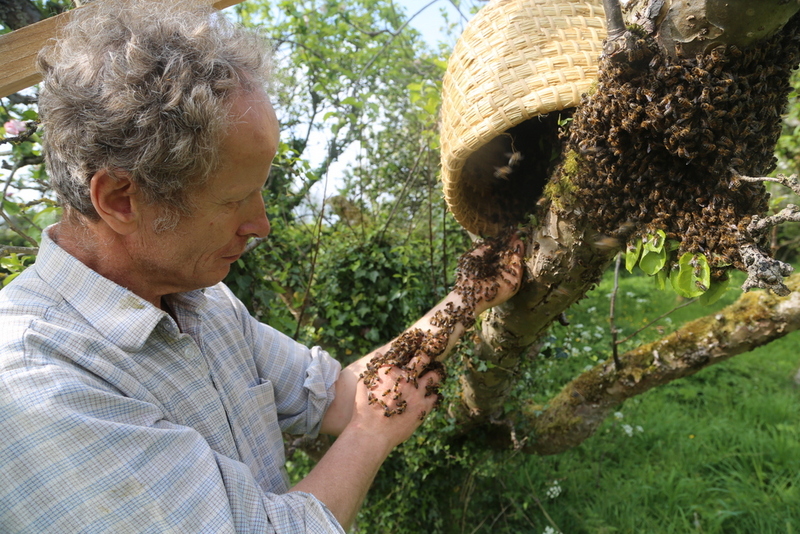 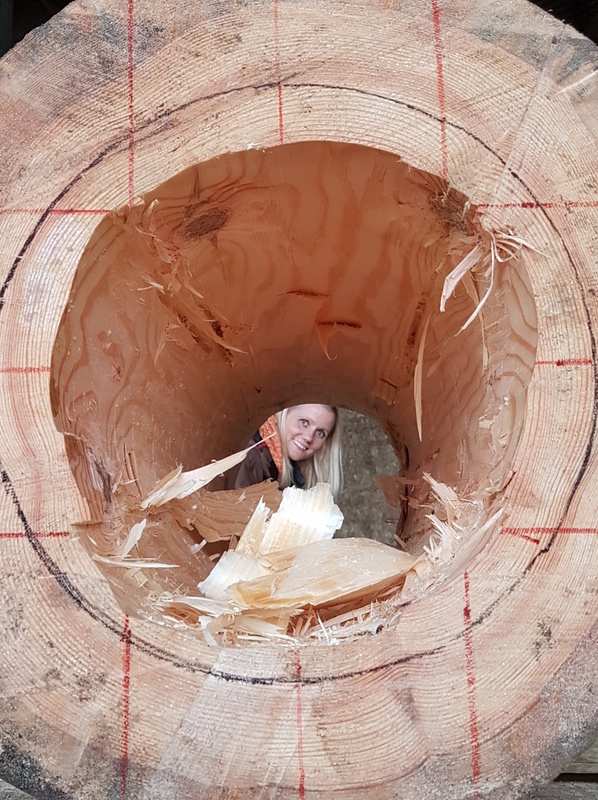 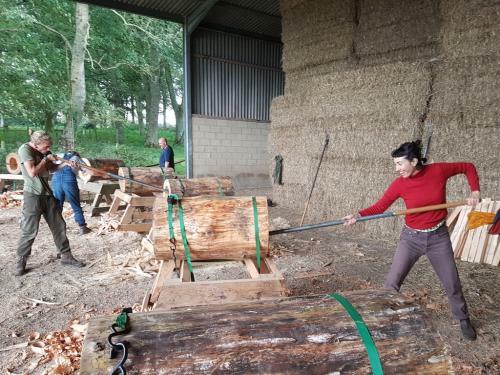 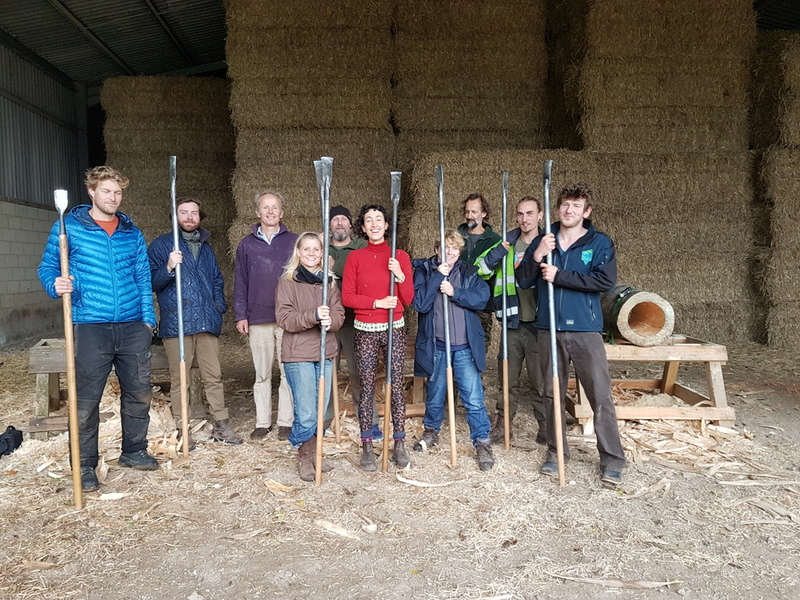 Over the last few years, I have been placing Freedom and log hives locally on farms with the intention of creating a community of bees which are healthy and able to live without our intervention. Aswell as providing strong drones, I would hopefully be able to catch swarms to use in other types of hives. 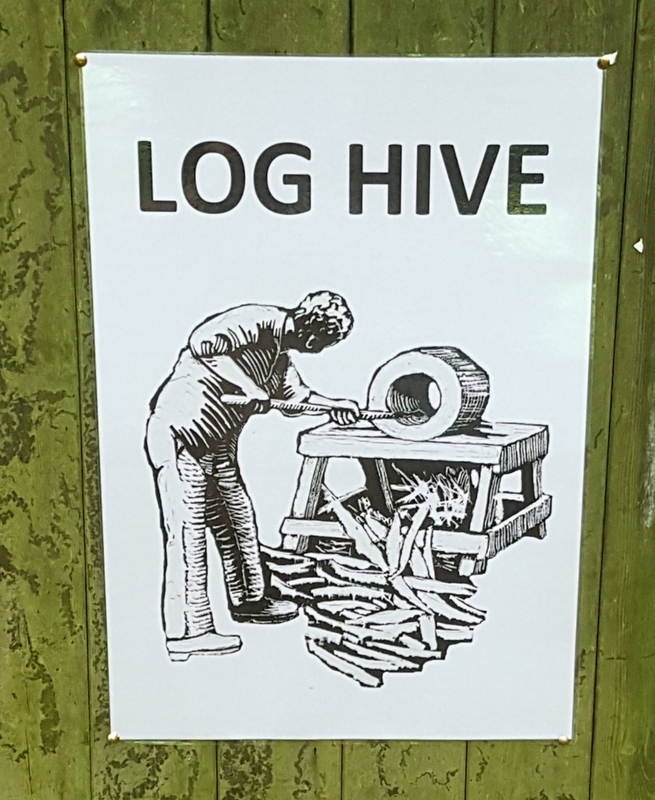 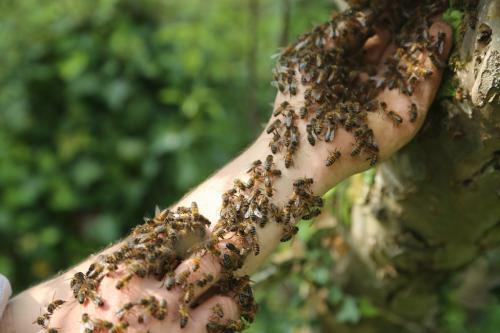 In remote locations, the easiest way of doing this is with a bait hive. 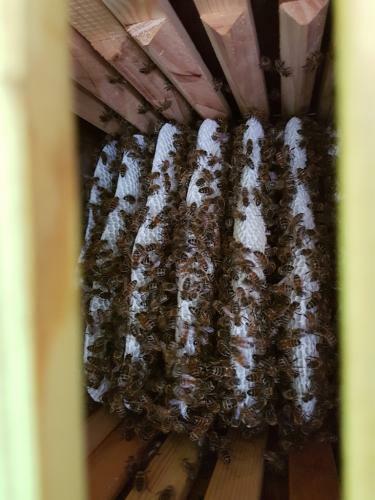 This is a box of approx 40l with a small entrance hole. 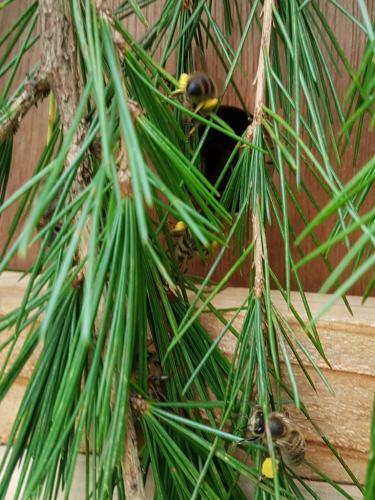 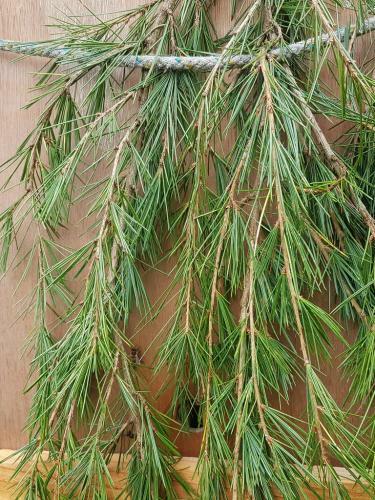 I place a few drops of lemon grass at the entrance to attract scout bees. The gallery below describes this in detail.